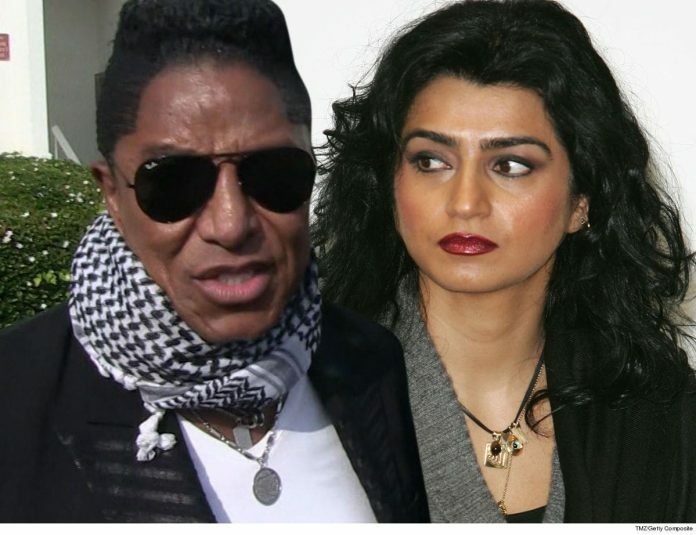 Jermaine Jackson is hanging his estranged wife out to dry, financially speaking … refusing to pay her a cent of spousal support … according to new docs she’s filed in court. Halima Rashid, who filed to divorce Jermaine back in 2016, says he’s supposed to be paying her $2,500 per month. In the docs, obtained by TMZ, she says the judge in their case ordered that back in May 2018 … and yet, she hasn’t received a single payment. She insinuates the singer’s sitting on a pile of money, while she struggles. She estimates Jermaine was hauling in anywhere between $50k and $500k each month while they were married. Halima says she makes enough to cover her monthly expenses, but just barely. Plus, she’s taking care of her elderly parents who live with her. The divorce battle, now almost 3 years old, has gotten nasty at times. TMZ broke the story … Halima’s filed docs demanding her fair cut of their assets, including a collection of Michael Jackson portraits. She filed her income declaration this week in L.A. County Superior Court in hopes the judge will force Jermaine to start paying spousal support. We’ve reached out to Jermaine for comment … but no word back.